Musgrave Group’s corporate values are so simple a child can understand them. It’s why they are so effective. 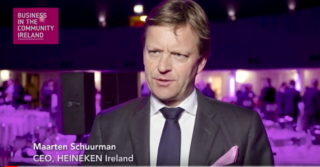 One of Ireland’s largest and most successful companies, the family owned business was founded in 1876, has a turnover of Euro 4.5 billion, supports more than 3,600 stores and operates nine brands – including SuperValu, Centra and Daybreak – across three countries. This entire operation is built on a platform of five simple values clearly stated; the development of long term, stable relationships; honesty; hard work; achievement and ‘not being greedy’. Far from being lip service, they are put into practice daily. 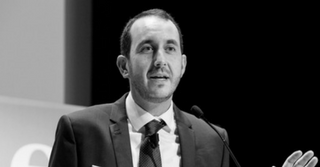 For example, in 2008, at the start of the recession, management took the decision to reduce profits by Euro 20m in order to support its independent store owners. The vast majority of these are, like Musgraves, family owned. There is a compelling business case for this. 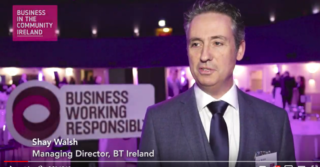 “If we are living our values by focusing on CSR then clearly there is a financial benefit in cost terms in relation to things like energy usage or waste management but it goes beyond that to feed into how consumers respond to your brand too,” said Martin. In these days of social media, that’s more important than ever. 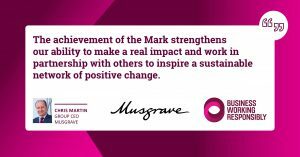 One effective way of communicating Musgrave’s core values has been achieving the Business in the Community’s Business Working Responsibly Mark. “It shows we don’t just talk the talk in relation to sustainability, we walk it,” he said. And not just recently either. 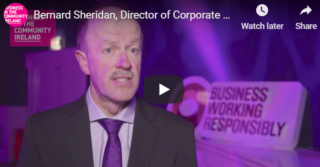 “During the post war years Musgraves was a well known tea blender at a time when tea was highly scarce,” , said Musgrave Group Head of Sustainability John Curran. For Curran the fact that Musgrave has for years had a head of sustainability speaks volumes. Sustainability has however, to be sustainable. “It’s not just a nice thing to do. It has a bottom line of its own to bring because you can’t just keep doing something that costs you money,” he said. Working towards the Business Working Responsibly mark helped Curran measure the full extent of the Group’s CSR activities and their impact. Not all awards are equal, he points out. 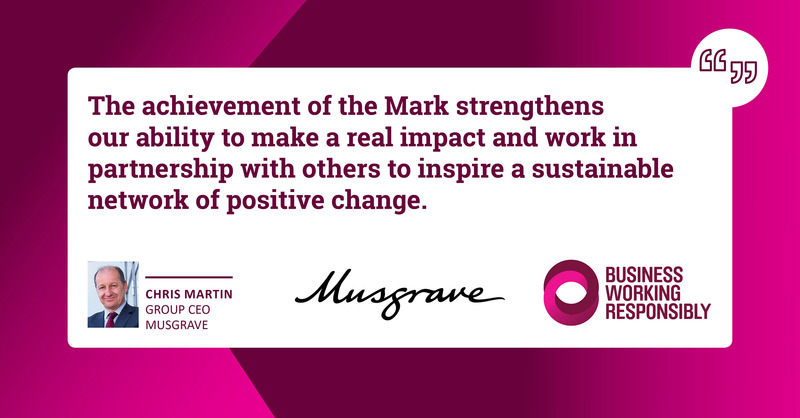 Find out more about the Business Working Responsibly mark.